Lynette Louise shares her journey of who she was before she became who she is. Born in Calgary, Alberta, Canada, Lynette left school at 15, married and had two children before turning 20. By the time she was 29, Lynette had adopted four toddlers, all boys with varying degrees of autism. “Having been a foster parent,” says Lynette, “I couldn’t stand that the kids would be bounced from home to home. I had to keep them!” Along the way, she added two troubled teenage girls to the mix, one with learning disabilities, completing the family with eight children in all. The story of how these children not only survived but flourished is a testament to Lynette’s persistence, unconventional approaches, and steadfast love. It is also the subject of her one woman show 'Crazy To Sane' with its accompanying CD. "Crazy to Sane" Reviewed by RadioIndy.com! 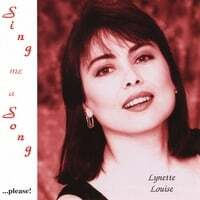 RadioIndy is pleased to present Lynette Louise with a GrIndie Award for the CD "Sing me a Song...please!" "Sing me a Song...please!" Reviewed by RadioIndy.com!